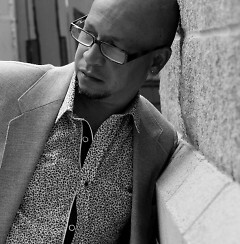 On Thursday August 29, 2013, local artist Erick Picardo hosts an evening of spoken word poetry, and authentic drumming. The show is titled "Vuela Grito", which loosely translates to "flying scream", or as Picardo explains it, "a screaming or yelling that comes from within your soul, like a joyful expression of sound"
Known for his vibrantly colored paintings inspired from his childhood experiences in the Caribbean, as well as for his drumming and dance , Picardo has also spent many years volunteering his time to help others in the Latino community in West Michigan. The work of Picardo reflects upon very personal aspects of our shared existence, and strives to convey those insights into a way that the viewer can relate to, that they can put themselves into the scene and reflect on how it speaks to something in their own experiences in this world. The world Picardo presents to the viewer is a world concerned with social content and self-respect. After spending more than two decades in West Michigan, Vuela Grito is the celebration of Picardo's journey, starting as a young artist working his way through school in the Caribbean, to arriving in West Michigan and creating a vast body of work, in addition to helping others in the community, and working to realize his goal of obtaining American citizenship. In addition to the display of visual art, attendees will also experience the spoken word and poetry of Picardo, accompanied by authentic Caribbean drumming. 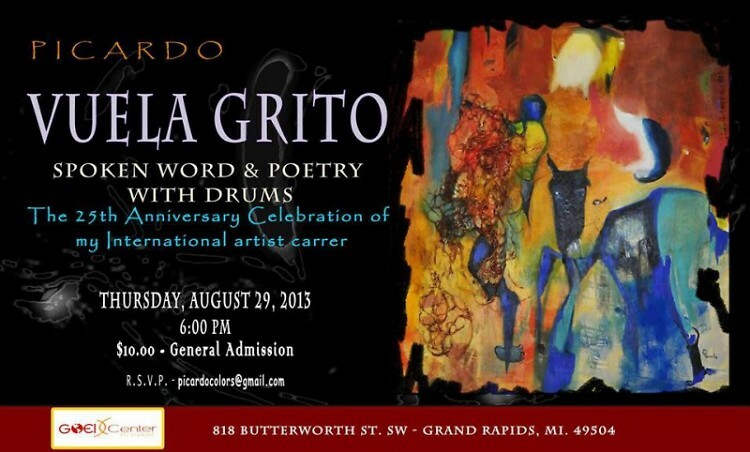 Vuela Grito will be held 6pm-9pm at the Goei Center 818 Butterworth SW Grand Rapids on Thursday, August 29th. Admission is $10 and the proceeds will go towards helping Picardo present his Artprize 2013 exhibit, Identity Incognito.